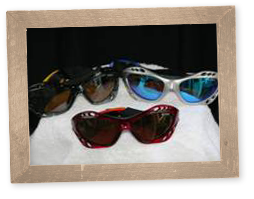 Sports Vision Eyewear is a private label distributor of customized sunglasses. Meeting planners, event coordinators and wedding consultants provide clients with unique solutions to delivering invitations, announcing meetings, providing participation incentives, or delivering save the date reminders for special occasions. 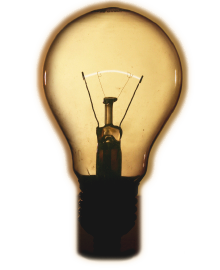 Our products and programs are designed to create excitement and sustain anticipation before every event or occasion. 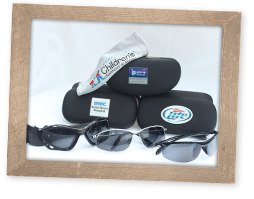 Our polarized sunglass selections include a microfiber polishing pouch and protective hard case that are precisely customized with any message, logo or invitation. A recent use case included sending a case and pouch as an invitation, the recipients were directed to bring the case and pouch to the event where they then selected performance sunglasses from a variety of styles, each with multiple lens and frame colors. 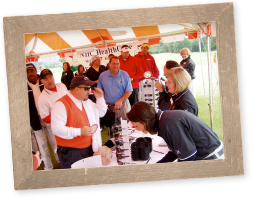 Sports Vision Eyewear is the perfect incentive or participation gift for your next special event. Providing unique performance eyewear will develop a strong association between your organization, patrons and sponsors. 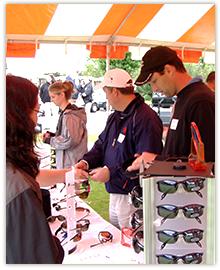 In 2001 Sports Vision Eyewear began supporting out door recreation events, golf tournaments, run walks and fishing tournaments. 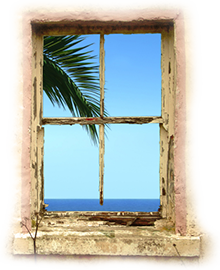 Our business model continued to grww into the support of sales meetings and incentive travel programs, which led to our current placement in hotels, resorts and all inclusive resorts. Incentive travel awards, business meetings and vacation always seem to include sun, sand and water. Sunglasses are the perfect metaphor for a memorable time spent in a great location.